Unlikely travel recommendations are my favourite kind. I’d prod you towards the underdogs — the virtually-unheard-of Sesimbra, a quiet little seaside town not far from Lisbon, Portugal. The lesser-known Sète in the south of France. Back home in India, I’ve ventured deep into the North-East, to the river island of Majuli in Assam — one to dog-ear if you are a lover of tea. And for fabulous coffee, I recently journeyed 5,000 miles to Melbourne, where the beverage has become hugely popular and nuanced over the last decade. As the fan following burgeoned, coffee moved from niche player to mainstream muse. Working their magic behind the scenes, or the counters as the case may be, is a new breed of entrepreneurs comprising mostly millennials. Earnest, enterprising, social media savvy, eager for an early start and intensely passionate about coffee, these young connoisseurs have ushered in a sea change in consumer perception, and a somewhat sobering moment for the multi-billion-dollar beer and wine industries. And they have ushered in the third wave of coffee — a fancy word for an experience built on the three tenets of quality, great service, and ethical sourcing — a new approach that has re-energised the sector and created a new identity for good ol’ coffee — now a thoughtful product of our eclectic globalised world, one where no corner (or plantation) is too far removed. A new coffee drinking culture has started to gather steam in Australia. The cuppa that holds centre stage is nothing like the homogenised milky kind you are most likely to be served in India. In Australia, the rich local scene has yielded a prodigious crop of independent coffee shops where the buzzword is ‘curated’. Moving past the trend zone to become an essential part of the daily experience, the stimulant is in the race for the long haul, at least in Melbourne, that second biggest of Aussie cities now lauded as the cafe capital of the continent. The first city of Victoria is full of rarities, with gems hiding in plain sight. Secret lanes, basement sales, underground suppers and tucked-out-of-sight rooftop bars — they’re all here; you need only know where to look. Exploring the city is like being on a treasure hunt; walk into an unassuming alley only to find yourself privy to a perfect park on the other end. Depending on which part of town you are in, it may, magically, give way to graffitied bylanes that are as surrealistic as they are sublime. I pause at a cafe, thinking it can’t get any better than this. Then my coffee arrives. And, just like that, I’m in for another surprise. The single most noticeable element of the Australian coffee culture is the influx of locally owned speciality coffee shops — as opposed to boring franchises. The focus is totally on the beverage selection, particularly in Melbourne, where coffee houses are not shy to either experiment or strip down to the basics in terms of both menu and interior design. And because the trend has so organically and authentically melded into the culture and lifestyle, it spills over into other compartments too, spawning a number of new-and-improved lifestyle choices and traditions, whether it is through initiatives like Responsible Cafes (that urge coffee lovers to invest in reusable cups) or, indeed, new experiences — like bubble coffee and coffee beer, for instance. Although finding good coffee in Melbourne is not difficult, it can certainly be a bit of a maze, what with more than 1,600 cafes to choose from. Luckily, I have Monique Bayer of Walk Melbourne Tours by my side to help me navigate and locate the hotspots frequented by true caffeine fiends. She is to take me on their Coffee Lovers Walk, a sensory trail that will unearth the city’s treasure trove of laneway coffee shops. We are to meet at the corner of Degraves Street and the historic Flinders Street Station in the city. 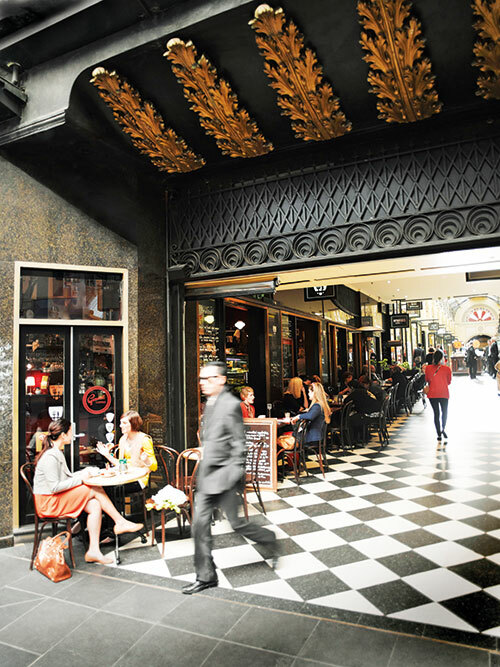 Chockablock with al fresco cafes and restaurants, Degraves Street has a distinct European feel. I call Monique who asks me to meet her by an orange bicycle. I quickly spot it parked in front of Clementine’s, a gift shop specialising in produce and products made entirely in the state of Victoria. An orange Vespa used to be parked here earlier, Monique tells me after we exchange greetings, leaving me to muse about whether this cycle is symbolic of a more conscientious generation, a sign of a better and more sustainable future. The cafe is bare except for a couple of squeaky-clean tables, and the menu is modest. Here, you just get to choose between black, filter, iced and espresso. The idea, he says, is that the coffee remains the focal point. The beans have travelled from Guatemala, Kenya and Colombia because Sam prefers smooth, full-bodied blends of single origin coffees that give you a flavour that is “nicely balanced with good acidity, chocolate and berries”. Come back another time, and you will find beans from elsewhere, whatever catches his fancy at that time. I sip on an espresso — the single-origin Kigawandi from Kenya, only a few bags of which have been shipped to Australia. As I try to decode the dominant flavour profile (fruity, acidic, smoky, floral? ), Monique explains that ‘single origin’ refers to beans that come from one single region while ‘speciality coffee’ is any coffee (single origin or blended) that has scored above 80 — based on criteria like mouthfeel and aroma — on a 100-point scale. Speciality coffees are bestowed with unique flavours that are the result of how the coffee is grown (in special climates and soils), roasted and extracted. “Typically, speciality coffee is grown at high altitudes, with much care and attention, and is sold at a premium to coffee traders, or even directly to roasters,” Monique continues as she waits for my verdict. And as the second tiny sip of the tart black liquid slides down my throat, the enormity of it all hits me. I — a Bengali working out of Mumbai, on holiday in Melbourne — am drinking green coffee acquired from a farm in Kenya by Sam who has paid a premium to a farmer I will never meet. At four dollars, it’s a steal, I tell Monique. She walks me to the city’s oldest cafe and a veritable Melbourne institution, Pellegrini’s Espresso Bar, which opened in 1954 on Bourke Street. A diasporic den that Italians swarmed to in the fifties, it is now a fancy restaurant, landmark and bona-fide case study for those interested in investing or starting a cafe business. After a quick tour, Monique moves on to Industry Beans (IB) in Little Collins Street, one of the more modern coffee shops, to give me a taste of both worlds. I take in the all-white furniture (a single long table), counters and walls that induce a contemporary feel. 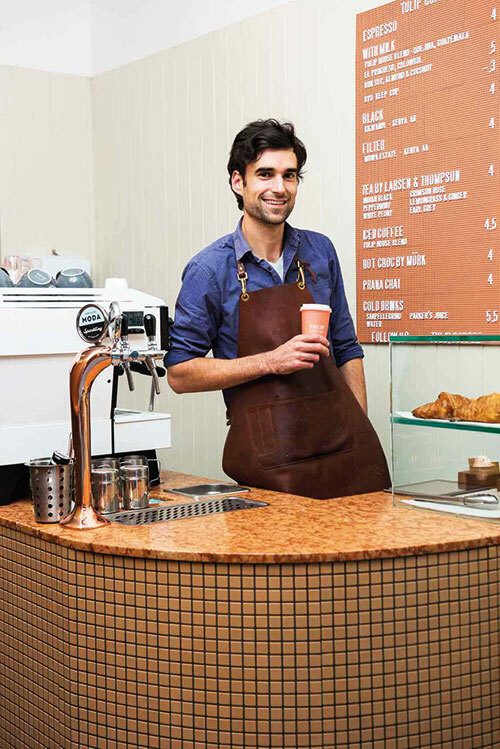 With its cool minimalistic look and solemn baristas, the joint has an air of austerity. The coffee makers are no-nonsense and you get the feeling that it is a busy place although there isn’t much seating. An offshoot of an award-winning concept cafe in the boho burb of Fitzroy, it has emerged as one of the most popular places to sip the brew in the CBD. Industry Beans 2.0 is a much smaller version of the original (most likely because of its location in the city) that looks and feels completely different. “The Industry Beans flagship is a roastery, brew bar and cafe that combine to create an immersive hospitality experience. It is about the complete ecosystem — sourcing, roasting and brewing under one roof. We roast for a family of amazing cafes and venues around the world, apart from, of course, our second venue, Industry Beans Lt. Collins, which is an evolution of our vision and approach to espresso,” claim owners Trevor (30) and Steven Simmons (32). Commendably, their second outing — flaunting a break in branding and identity — was conceptualised in-house. And what’s impressive is that although it does authentically represent the refinement, journey and simplification of the Industry Beans brand, this change in direction is “by no means a blueprint for what we’ll do next”. Having had at least three tasters and three more espressos by then, I can’t really distinguish between acidic and fruity anymore. My tongue is numb and I’m a bit tired from all the walking. We decide to break for lunch at Aussie chain Grill’d Healthy Burgers where I settle down to devour a guilt-free burger. 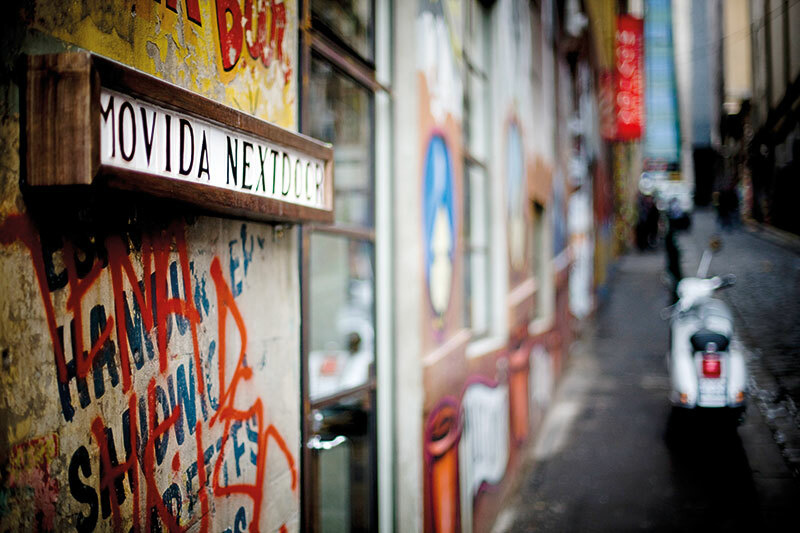 Soon after, we are in Little Bourke Street’s Brother Baba Budan, the most popular coffee shop in Melbourne. A few tables are strewn around, but we slide on to two stools around a big square community table up front. Monique obliges with the order again. The crowd here seems more highbrow, and the small cafe is packed. As I sip on my espresso, Monique nudges me in the direction of an older-looking guy who has just popped in. “That’s Mark Dandon, the co-owner and one of the most influential people in the business,” she says in quiet reverence. 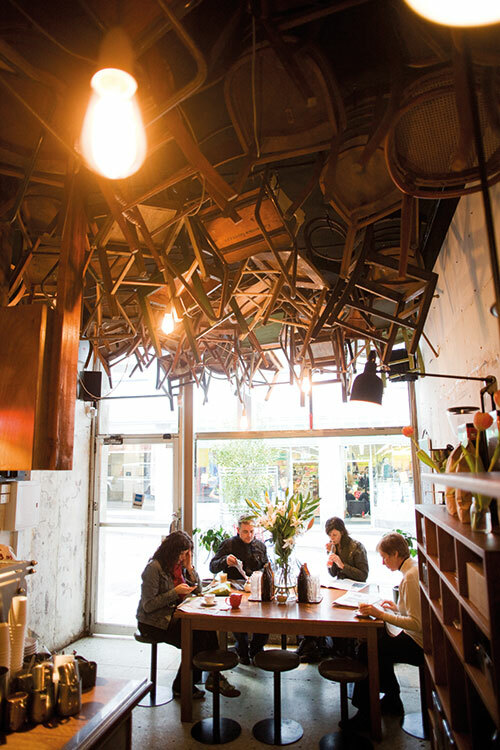 Dandon is said to be one of the pioneers of the coffee scene in Melbourne. He is the co-owner of Paramount Coffee Project, a coffee farm in Honduras, and the Seven Seeds company, a roaster, wholesaler and cafe that runs three cafes: Traveller, Hortus and Brother Baba Budan. But he has acquired the most amount of respect as a mentor, not a businessman, with his former apprentices founding some of the best coffee spots in the city. Soon it’s time for our last stop, Kit Espresso, at the Royal Arcade in the centre of Melbourne. The shop itself is a hole in the wall, equipped with a lone bench. Two young men greet Monique and it’s obvious that they are familiar with each other. They have me try a cascara tea (a herbal tea made from the husk of the coffee cherries — the fruit, as opposed to the bean) concocted on a whim, offering it casually as if it were the equivalent of dipping a tea bag in hot water. “Cascara is well known in the coffee industry. It’s just unusual to find it in cafes. It’s not part of the menu, but then again Kit doesn’t really have a menu per se. If the baristas get to know you and have something interesting, they’ll offer it to you. Many people just want a good latte but for the 10 per cent who are interested, there are often new things available.” It’s a bit of an acquired taste, I decide after a few ginger sips. By now, I have formed my own palate and I promptly request for a ‘flat white’ (steamed milk with espresso). Kit stocks coffees from local roaster Padre and sells every type of apparatus that a coffee junkie will ever need. If you’re looking for a good investment and a meaningful souvenir from Melbourne, just close your eyes and splurge on an AeroPress, Monique tells me. For less than 3,000 rupees, you could reward yourself with many, many great cups of coffee…what better way to get back to the daily grind? I lament how much I will miss ‘Australian’ coffee back home — although none of the beans I’ve opted for have been native to the country — and Monique gives me the best news. Two words — subscription coffee. “Seven Seeds does it. The Superlatives Book Club is another coffee subscription programme. It’s like a book club but for coffee, run by the website Barista Hustle.” And once I am back in Mumbai, I’m checking out the Bandra-based Koinonia Coffee, founded by Australian coffee connoisseur Shannon D’ Souza. Its impressive menu flaunts AeroPresses and flat whites — things I had met and fallen in love with in Melbourne — apart from useful offerings like keto coffee. And now Blue Tokai has spread its wings to a spot that is a five-minute auto ride from my home in Versova. It seems like Indians, at least those in the metros, are finally waking up and smelling coffees beyond the likes of what Starbucks and Café Coffee Day have to offer.